Now you can order your favorite SmartShield Sunscreen products with your company logo. 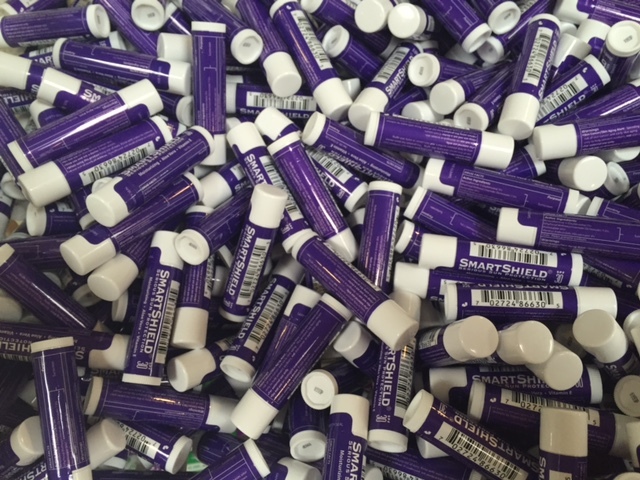 We private label SmartShield sunscreen for events such as golf tournaments, festivals, tradeshows, giveaways, incentives and fund-raising. 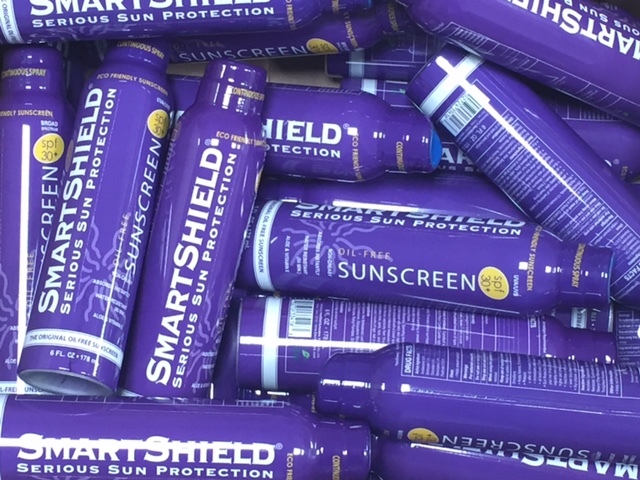 SmartShield products include sunscreen, natural insect repellent, lip balms and much more. View our online catalog to see the various private-label options. Our innovative print process allows us to personalize small custom orders with the same methods that other companies require huge minimums to perform. We'll print your company logo directly onto our packaging for quantities as low as 250 units. In addition to imprinting, we also can work with you to design a label for our various products. You can create custom-fit labels with relevant messages for your specific events. Select custom gift sets from our complete line of sunscreen products and sizes. 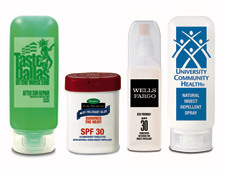 Choose from a variety of gift bags imprinted with your company logo and fill it with your choice of sunscreen products. If you have trouble accessing our private-label catalog, please contact us and we will be happy to assist you.